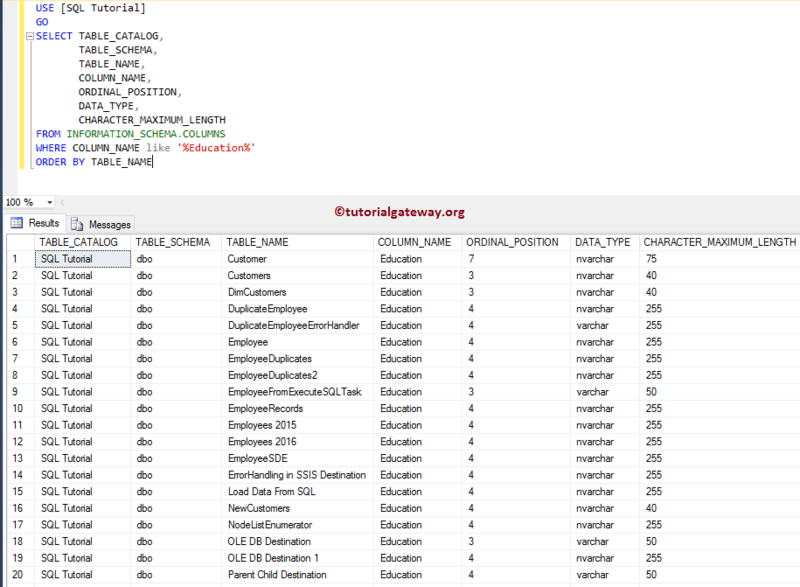 In this article we will show you, How to write a SQL Query to Find all Tables that Contain Specific Column Name with example. This is one of the common SQL Interview Question that you might face in the interviews. 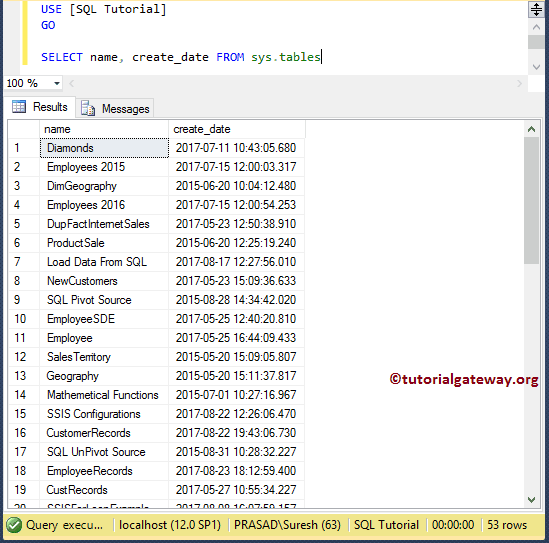 For this example, We are using the SQL Tutorial Database, and below screenshot will show you the tables inside that database. 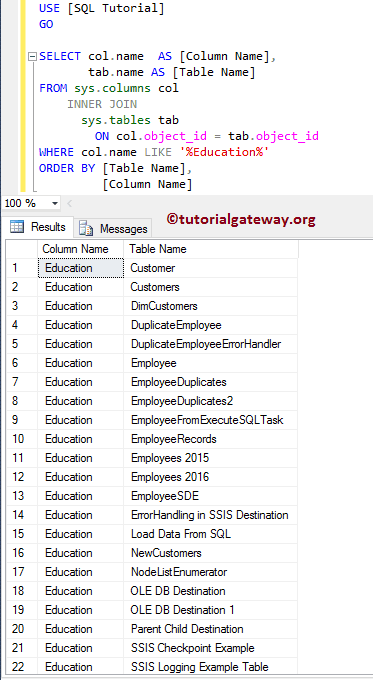 In this example we are using the sys.column to get the column information, and sys.tables to get the table names.